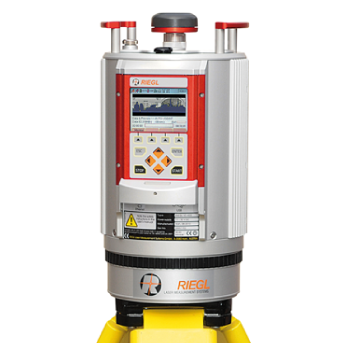 The V-Line® 3D Laser Scanner RIEGL VZ-2000 is characterised by an extremely high measurement rate. It offers high accuracy data acquisition up to 400,000 measurements/sec and up to 240 scan lines/sec. The scanner further offers exceptional long range measurement performance of more than 2,000 m to natural surfaces while still maintaining completely eye safe operation (Laser Class 1). RIEGL´s unique V-Line technology, based on echo digitization, online waveform processing, and multiple-time-around processing is the key to enabling such high speed, long range, high accuracy measurements even in poor visibility and demanding multi target situations caused by dust, haze, rain, snow, etc.